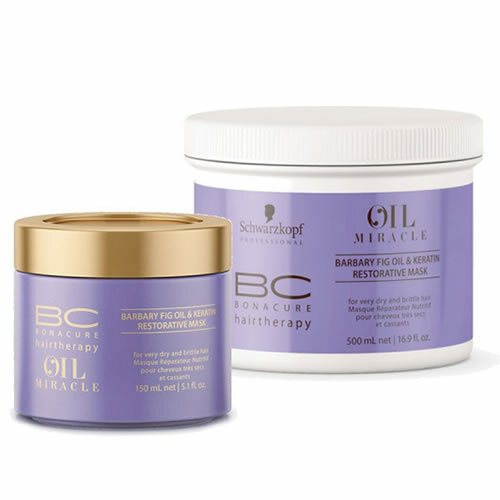 Deep nourishment and moisturising for very dry hair. 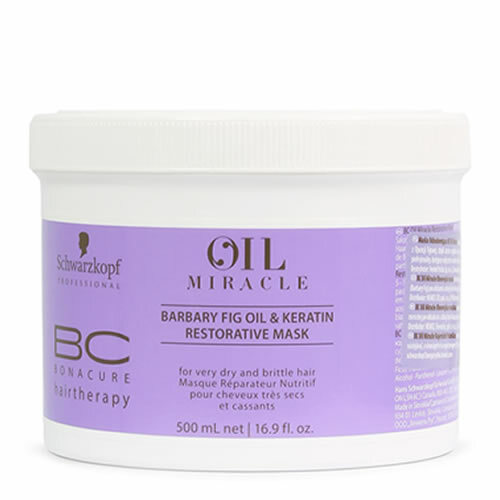 Schwarzkopf Professional BC Oil Miracle Barbary Fig Oil & Keratin Restorative Mask provides a tremendous hit of nourishing TLC for your clients' very dry hair. 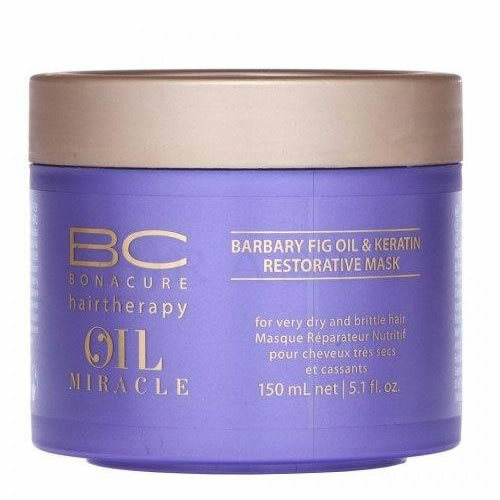 It leaves hair feeling soft and smooth, improving its strength and restoring its natural elasticity. It also seals the hair's surface to make it more easy to comb and detangle generally. It even adds shine to very dry hair! Simply apply to mid-lengths and ends of towel-dried hair and work through, leave for 5-10 minutes before rinsing out thoroughly. For best results, use once or twice a week. Comes in a 150-ml or 500-ml pot. £15.72 (inc. VAT) Why no VAT? We're a trade wholesaler and quote our prices without VAT to help our VAT-registered customers understand the true cost of a purchase.